About the campaign: You can help equalize the game for boys and girls in southern Africa who face significant adolescent health challenges, perpetuated by harmful gender norms. These deep-seated and persistent perceptions are what make girls and young women up to four times more likely to contract HIV; what make boys and young men much less likely to access health services; and what enable and justify gender-based violence. 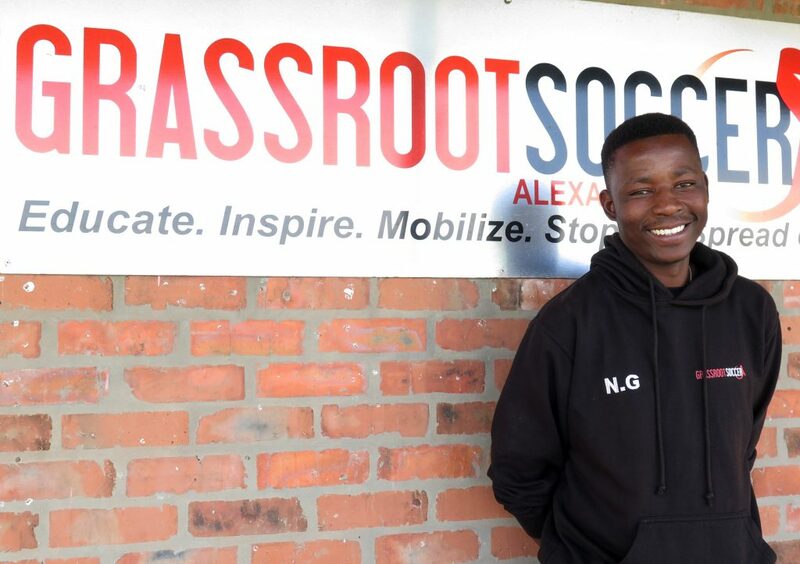 By supporting the work of Grassroot Soccer, you’ll be enabling boys and young men to develop positive perceptions of themselves and their female counterparts; to rethink what it means to be a man; and to promote healthy and protective behaviors around sexual violence, substance abuse, power, and other sensitive topics. You’ll be strengthening the educational and sexual and reproductive health assets of girls. You’ll be ensuring young people can become agents of change—because dreams have no gender. To donate to our Dreams Have No Gender campaign, click here. Neo Malema is a Grassroot Soccer Coach (GRS) based in Johannesburg, South Africa. Together alongside GRS Coaches, mentors, and leaders across the globe, Neo is making a difference in the lives of young people and reshaping their views on what true gender equity looks like. What would you tell a younger male relative, like a little brother or cousin, about what it means to be a man? We are all from in different cultures and have different beliefs, and these experiences influence what we think it means to be a man. The media and society also influence our definitions of gender, equality and expectations. But, we all can be better men of our own choice. Being a man does not mean that you must abuse or violate others. Being a man is to be a hero and protect those who are victimised, who in our society are [often] women and children. Never use your power to oppress anyone, but rather use it to help with chores at home or to become a positive role model for others. Being a man is to be very respectful of everyone. Has your time with Grassroot Soccer changed how you think about violence? If so, how? My time at Grassroot Soccer has indeed changed how I think about violence. How? I grew up in a township in South Africa, where violence is very common and it became a normal thing for all of us. It is a difficult thing for children to deal with, and sometimes when it happened in front of us, we would make fun of it and watch it in detail until it ended. Ever since I joined GRS, I have become a change driver, and I try to put a stop to violence – specifically gender-based violence. Violence affects all of us and there are times where it is used against us, in the home, our communities, and our society. Violence is not a good thing at all, and Grassroot Soccer has shown me how to recognise when someone is using violence against me. From these experiences and understanding, I now realise how violence feels for others when it is perpetrated against them. How can boys and men be advocates for gender equality? Men and boys can be advocates for gender equality by helping to change our own gender expectations, and those in society. For example, expectations that say a man can only do certain things and a woman can only do certain things. Men and women can do anything they want – and we must be the change that we want to see. Men, let’s take care of the homes we build!